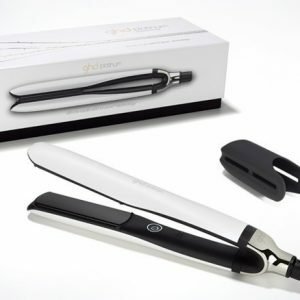 Introducing our best-ever-value ghd styler set, the ghd V gold classic kit. This kit has everything you need for amazing results, including the ghd V gold classic styler, ghd paddle brush, ghd style heat protect spray and two sectioning clips, for the usual price of the styler alone, saving over £30! The ghd V gold classic styler is suitable for all hair types and lengths, with its smooth gold plates that glide effortlessly through your hair. Create sumptuous curls, wonderful waves or a sleek straight style with high shine results. Use this styler with the ghd style heat protect spray before your style, and the ghd paddle brush and sectioning clips to achieve the ultimate salon-style finish.